and whiskers on kittens..... these are a few of my favorite things. 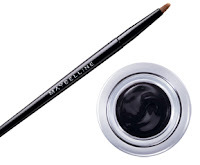 Right now I am loving Maybelline's Eye Studio™ Lasting Drama™ Gel Eyeliner in brown. This product was my first try in gel/brush eyeliner, and it's fabulous. Seriously, super-easy and very affordable. It even comes with a brush that's perfect for applying it. It's available at mass-market retailers like Target and Walmart, and I think I paid around $8 for it. 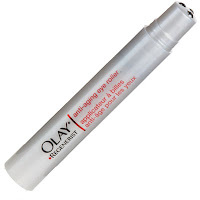 This Olay Regenerist Anti Aging Eye Roller is my newest skincare find, and I am singing it's praises from the rooftop. I got this last week at CVS for $18.99 and it's amazing. You click the end and roll it over your undereye area, and it dispenses and massages in a fabulous gel that really does "banish puffiness and soften the look of fine lines and wrinkles". Right now there is an Olay rebate for $20 back when you purchase $50 in Olay products. Such a great deal if you are taking advantage of my Amazon Regenerist deal in the post below. I think we've discussed my problem with fragrance before, haven't we? I am so sensitive to smells that I have a hard time finding something that doesn't make me feel sick to my stomach. 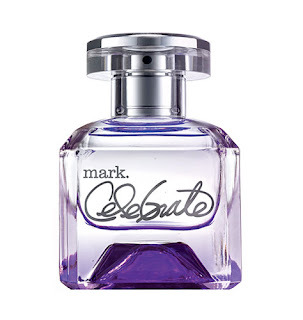 The new Celebrate fragrance from Mark is so light and pretty and I have no problems wearing it. It's available online from Avon and retails for $25. Disclosure: All items in this post were purchased by me. I can't wait to smell the Mark perfume...I LOVE their Rebel Rose...so good if you're a rose person but also they hired a young Texas Tech girl to do the marketing campaign for it...so I HAD to buy it! Thanks for the 'favorite things' stuff!!! !